I don't have any reason to visit a dentist, my teeth are perfect and healthy! That is what everyone says when being asked to visit a dentist. But really, it is not until you start having serious pains in your teeth before you consider visiting a dentist. Most of us grew up with having more than enough teeth in the mouth and we see it as a normal thing even though they overlap each other. A dentist will help find corrective measures in helping your teeth have the best dentition you never thought you could have. Most people have tartar (an incrustation that forms on the teeth and gum) formed underneath their teeth and close to the gums. These harbor lots of microorganisms that later affect the oral health. A dentist would notice the tartar and carry out what is called scaling and polishing to remove every traces of the tartar before it gets to its worse stage. A dentist will help you to remove food remnants that hides between the teeth. Food remnants that hide in the teeth include remnants of meat, fish, vegetables and they keep decaying in between the tooth. You don't have to wait till it decays and destroy your oral health, visit a dentist who will help you floss the teeth with a waxy thread. A dentist takes note of everything that might lead to a chronic disease and takes care of before it gets out of the primary stage. It is advisable to visit a dentist at least once in every three months. Being busy is not an excuse anymore, so just make time within that three months to see a dentist. 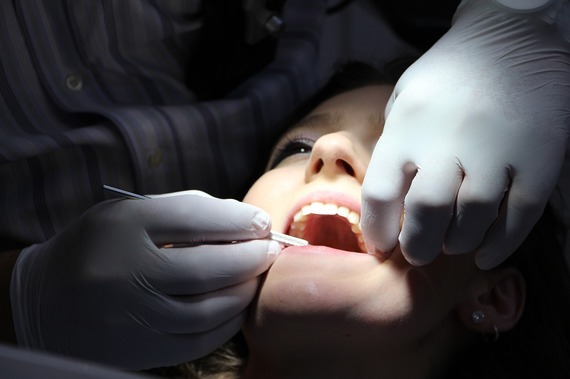 Dental fillings or restoration are used to fill in the cavities caused by tooth decay. Instead of removing the tooth after suffering a tooth decay, your dentist will help check what the possible solution to it might be so you get relieved of the pain as soon as possible. It is either placed with fillings if the tooth is not decayed to a bad extent and might be extracted if the condition of the tooth is bad. Is that all a dentist can do? Of course not. A dentist can also help in diagnosing oral diseases, creating treatment plans to maintain or restore the oral health of patients, interpreting x-rays and diagnostic health, monitoring growth and development of the teeth and jaws. Now the question is where you find a good dentist? You can find a dentist in a hospital or in their private clinics. You need to look for a very good dental care clinic instead of visiting quack dentists that only add to the problems of your oral health.